I hadn't read much about this time period in Cambodia and I was very much looking forward to learning about it. Maybe I should have read some nonfiction about this subject first. I wanted to like this book and I was nearly sure that I would. Sadly, I was mistaken. I did enjoy parts, but as a whole it didn't speak to me. The language felt a bit too flowery and there wasn't enough solid information about what was going on. The author's note at the end was where I finally felt a connection to the book. 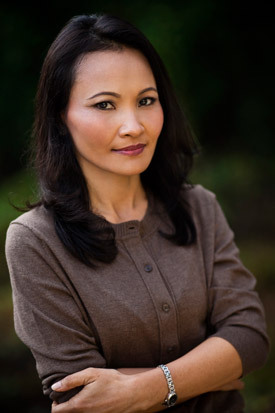 She talked about her own experiences as a young girl in Cambodia during the Khmer Rouge's regime. That was when I felt myself choking up, thinking of what she and her family went through.Vaddey Ratner's personal story is amazing. I can't imagine how painful it was for her to write this book. I so wish she had written a memoir instead of a fictional account. She does talk about why she didn't, and her reasons make absolute sense. I have always been interested in recent Cambodian history especially that involving the Khmer Rouge. It is an absolutely horrendous period in history of course. The takeover of Cambodia by the Khmer Rouge must have been one of the worst things in all of history to have lived through. It is too bad that this book was a disappointment. Obviously told from a very different point of view, but a few years ago I read Pol Pot: Anatomy of a Nightmare by Philip Short which was excellent but troubling. I think I would have liked this book a lot more if I knew more of the background of those times. I felt that she told the story in a way that seemed to assume the reader would already know what was going on. I should look for that Pol Pot book, sounds like something I could sink my teeth into! If you have not seen the movie "The Killing Fields" it is a really harrowing true life account of the Khmer Rouge takeover and its aftermath. It is a great movie but also disturbing. 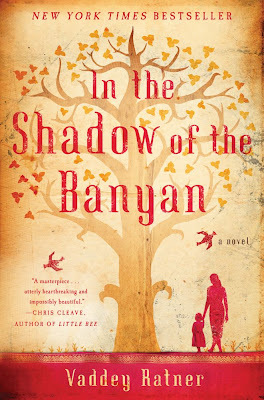 I love multicultural fiction, and this book is on my wish list. It's a shame it didn't work for you. It sounds like the prose was a bit too lyrical and there wasn't enough exposition. Today I was thinking more about this book. It was told from a child's point of view and of course as a child you couldn't begin to wrap your mind around what was going on. Perhaps that was why the exposition was missing? That makes sense to me..but I still wanted more, lol. I think it just didn't work for ME because I like FACTS more than mystery? Hi ya! You were just over at my site Rainy Day Reads. Thanks for signing up for the Book Blogger Spotlight! You have a great site here, I will be in touch very soon about the spotlight. :) Just followed via GFC. Thanks Christine, I look forward to it! It's too bad that it didn't quite meet your expectations. There needs to be more literature on what happened during the Khmer Rouge. It sounds like this one is not going to fit the bill. You're right Michelle, that's exactly what I want to find. A book that really explains what went on in those years. I know it was awful but I need some more facts. I am sorry the book was not as good as you wished, I hate that. :( I can imagine it would be even a little disconcerting to read about the horrors of Khmer Rouge in a flowery type style. A friend of mine gave me First They Killed My Father by Loung Ung. It was one of the best books I have ever read, but also the saddest by far. If you are interested in reading a memoir from the time of Khmer Rouge I recommend it. Now that sounds like exactly the kind of book that I need! Thanks so much for bringing it to my attention! I just requested it on my local library's website! I'll let you know how it goes. Thanks again!